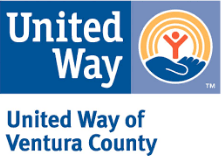 Public Policy is a significant catalyst for change…it directs funding towards important community health and human service needs that complement the ongoing fundraising and investment efforts of United Way of Ventura County. United Way of Ventura County volunteers and staff develop a public policy/legislative agenda to provide guidance on a variety of local, state and federal policy issues. We will provide information to legislators and to the public in an effort to increase understanding and awareness of the impact of policy and budget decisions on health and human services in our community. LEADERSHIP: UWVC will assume a high level leadership role – educating legislators and bringing visibility to a specific policy position. Volunteers & staff will be actively involved and additional financial support may be necessary for ongoing research, advocacy and partnership mobilization efforts. Health insurance coverage is vital to our children, their families and our economy. Healthy kids attend school, learn and become viable workers in the future. We will focus not only on efforts to expand coverage to all children, but work to prevent the numbers of uninsured children from rising. United Way is committed to making 2-1-1 available to all California residents through its partnership with 2-1-1CA. Working together, we will ensure families and individuals in need are connected to the building blocks for a good life: education, financial stability, and health. The Children’s Health Insurance Program is a proven, bipartisan program helps ensure California’s kids have access to comprehensive health coverage. Through the Volunteer Income Tax Assistance Program, volunteers become IRS-certified tax preparers and provide assistance to qualifying individuals and families by preparing and e-filing federal and state tax returns at not charge. Expansion of the state Earned Income Tax Credit, CalEITC, for working low- and middle-income families, would increase disposable income for those families and, according to research on similar programs in other states, would also produce various long-term benefits such as more money for childcare or reliable transportation, contributing to a stronger workforce. ADVOCACY: UWVC will help educate the community on an issue ad will take a clear position on this issue. Key United Way volunteers and staff will be active on an as-needed basis. In partnership with United Way Worldwide and United Ways of California, UWVC will support federal and state policy initiatives aimed at increasing student achievement from early childhood education through high school graduation so they are college and workforce ready. All Californians should have opportunities to increase income, build savings and grow assets. There are many state and federal government programs intended to help families achieve financial stability; however, existing pro­grams may be under-funded or need reform. Policies that promote family self-sufficiency are integral to achieving our goal of reducing the number of lower-income families who are financially unstable. SUPPORT: UWVC will lend its name and reputation to a policy issue. Staff and volunteers will monitor and respond to requests for support through such vehicles as signing on to letters. UWVC will support the work of coalition partners. No additional monies are likely to be necessary. The Emergency Food and Shelter Program (EFSP) began in 1983 with a $50 million federal appropriation. The program was created by Congress in response to the economic recession at the time to help meet the needs of hungry and homeless people throughout the United States and its territories by allocating federal funds for the provision of food and shelter. Charitable giving is critically important in enabling local communities to meet local needs. The charitable deduction is a nearly century-old tradition and reflection of American values and our commitment to helping our neighbors. Congress should protect the full value and scope of the charitable deduction and expand incentives to give by making charitable deduction available to all taxpayers. Tell your story. Do you have personal experience of being positively impacted by one of the items we advocate for? Nothing is more powerful than putting a face on an issue.